Strawberry is a rescue, that I knew nothing about when I got her. 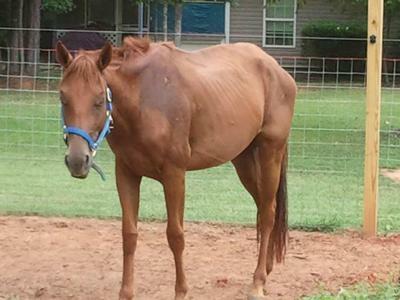 An amazing family found her being starved and took her in. She was around 2 ,and I've had her for 4 years now. I worked several barn jobs and was around horses any minute that I could . I wanted a horse more than anything but didn't have the money . One of the barns I worked at said I could get a horse and keep it there . I saw that Strawberry needed a home and immediately after meeting her knew she was special . 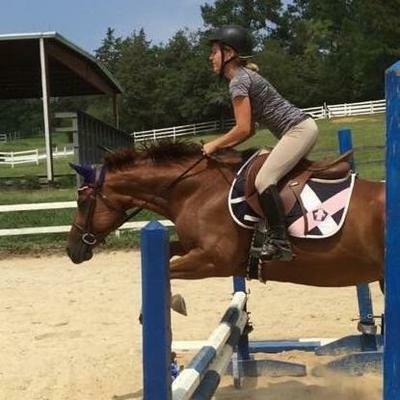 I had dreams of doing eventing with her and finally being able to show with my own horse . After getting her healthy, I started training her . Once I began working with her I realized she was a foxtrotter . I was very disappointed ,as that is nothing close to what I want . But it was too late , I loved her too much to get rid of her . She had so much personality . I decided ribbons didn't matter and we would still compete and have fun anyway .So that is exactly what we did . She has tried her little heart out to be my little show horse . Even though she has her limits we always have fun . She definitely has defied all odds regarding her background and breed. 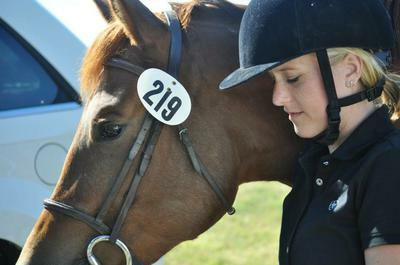 She is the safest I ever felt on a horse . 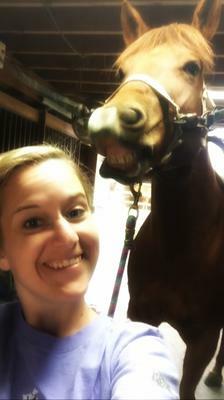 She is by far the smartest , sassiest , funniest horse I've ever met . Strawberry came to me at a much needed time in my life and has saved me in more ways than one . She is a perfect example of things not always working out as planned. The fact that someone once thought her life didn't matter baffles me . She is the best thing that has ever happened to me and I'm so lucky she came into my life .